Time to introduce you all to the second Playgro toy we've been trying out as official toy testers. 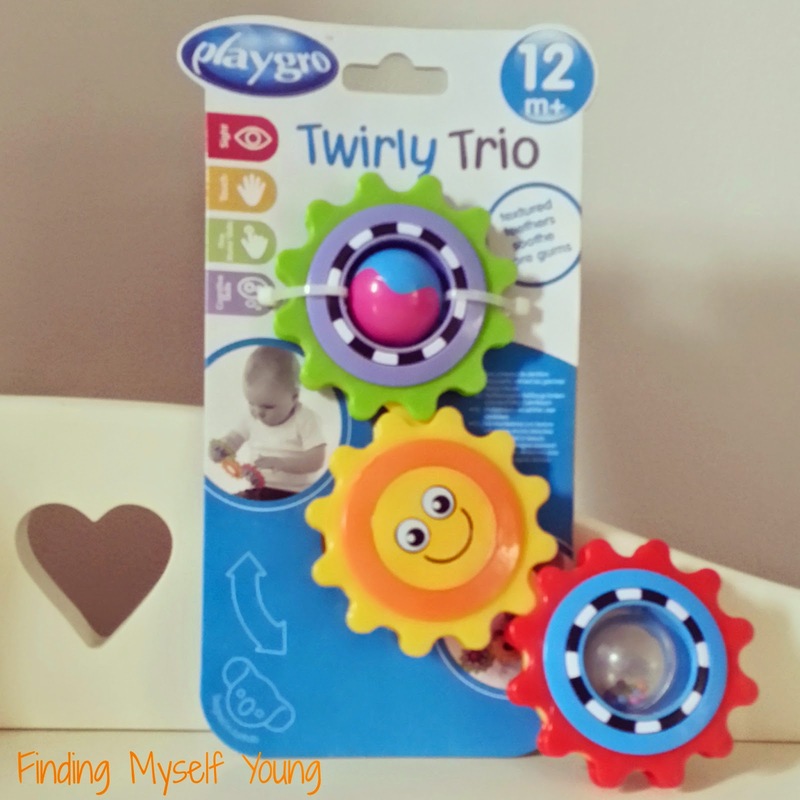 The twirly trio is unlike any other baby toy I've seen before. It has three brightly coloured gears that are connected, but can be moved around in different directions. 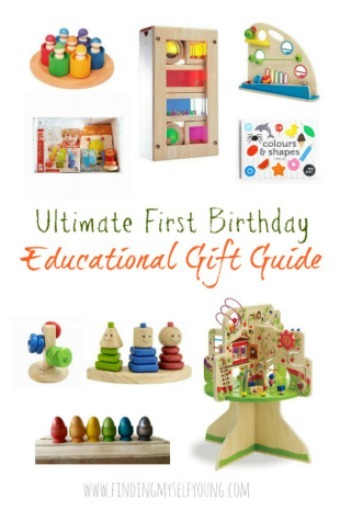 Each gear has a different feature to engage babies and encourage fine motor skills. Two have spinning balls (one is a rattle) and the middle one has a mirror on the back of the sun. When I'm out at the shops buying toys (which happens way more than it should) I usually hold the toys up in front of bub to see if she likes them before I buy them. Some may call that cheating, but I call it being smart. There have been some toys I thought she'd really love that shes had no interest in at all and vice versa. I have to admit I probably wouldn't pick up the twirly trio off the shelves to show her because to me it looks like a very "boy" orientated toy. Its very technical looking (well technical in terms of baby toys) and it isn't pretty girly colours and doesn't make music. As a result, I'd automatically assume she wouldn't like it. I'm glad Playgro sent it to me though because my assumptions were completely wrong. She absolutely loves it. The twirly trio keeps her entertained for ages. 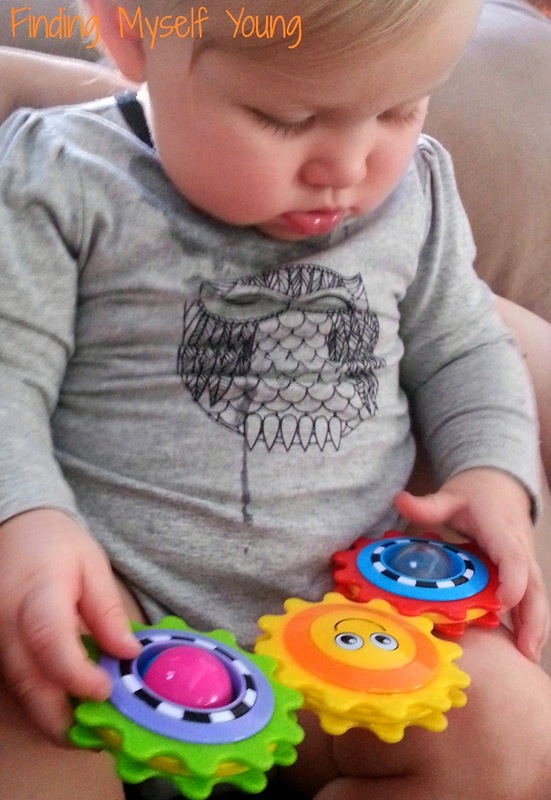 The movement of the gears help develop her cognitive skills as she has to work out which way to move them. I love the look of intense concentration she gets when shes playing with it. I can see her little brain ticking away. 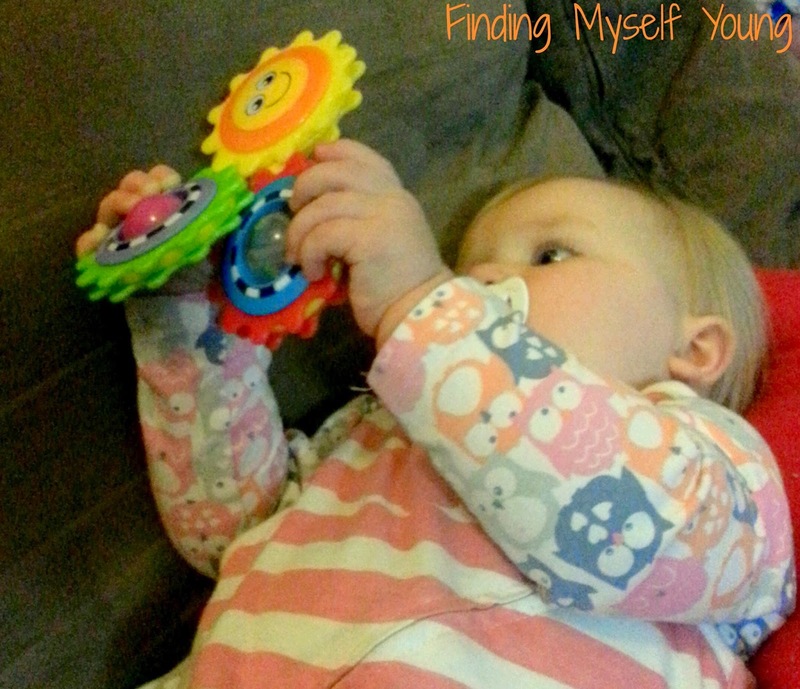 Shes also using her fine motor skills learning to spin the balls around, which is her favourite thing to do. She likes the rattle ball over the coloured one because it makes noise and shes still completely obsessed with music (and noise in general). 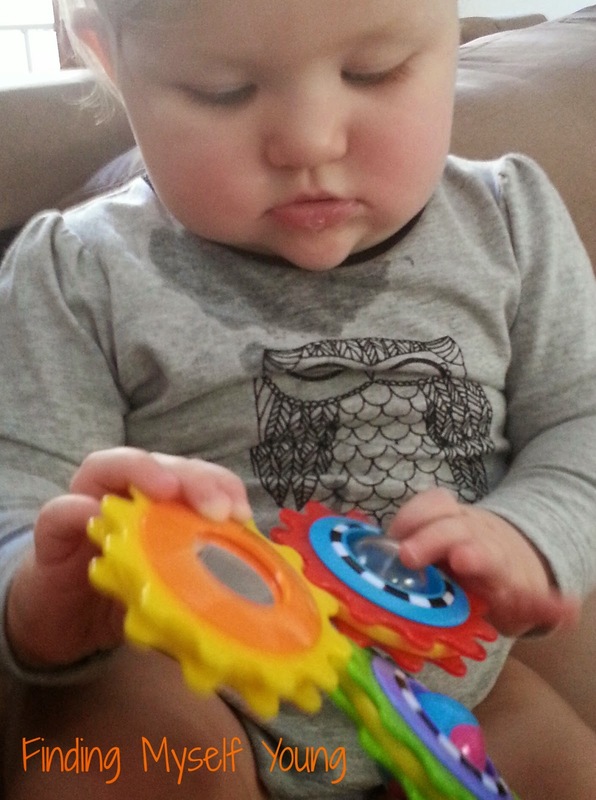 Im pretty sure shes also trying to work out how to get the coloured balls out of the rattle just quietly. Shes definitely her fathers daughter because shes always checking herself out in the mirror! The combination of the bright colours and the mirror mean its great for when shes throwing little tantrums because she completely forgets what she was annoyed about. Its also a good distraction when shes in the high chair waiting for food and during the increasingly difficult nappy change times. Another benefit (perhaps my favourite one at the moment) is that its made from soft plastic that soothes sore teething gums. It must make them feel pretty good because shes always got it in her mouth lately. 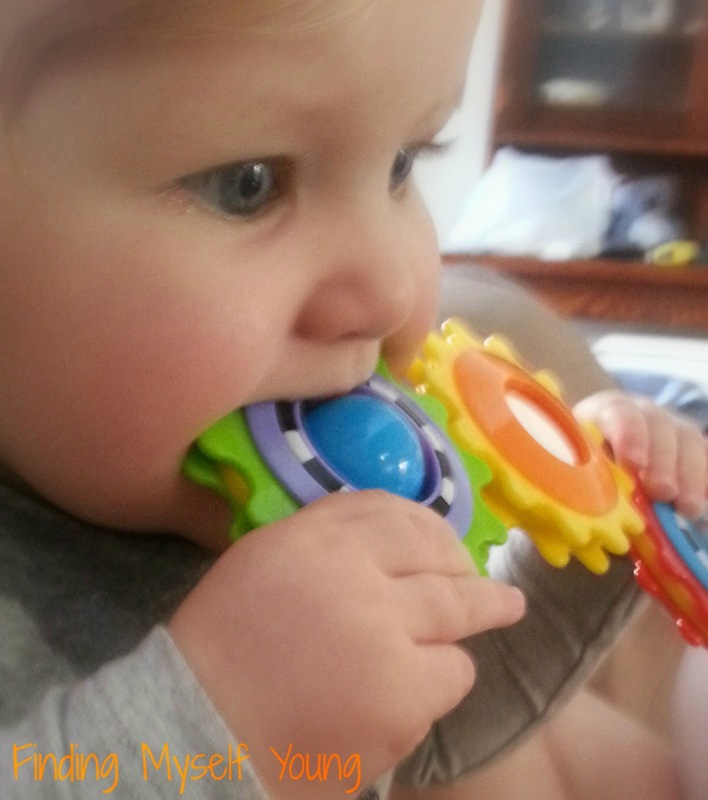 Which I'm totally fine with, anything that works for teething gets a big thumbs up from me! I'm really glad that we got sent this toy as part of our stash to review because like I said above its not one that I normally would consider buying for her. 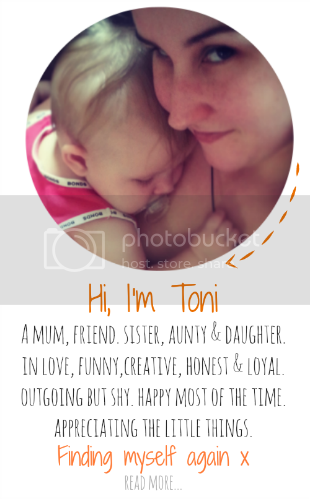 I'm sure a lot of other mums may feel the same. I'm glad shes had the chance to enjoy hours of entertainment from it and its certainly opened my eyes to other types of toys to look out for when shopping. And its made me realise I shouldn't make assumptions (especially ones based on gender stereotypes!). Do your kids love a toy you didn't expect them to like? Would you buy this toy for your child if you saw it in a shop? He used to do it a lot more when he was a gym junkie, but those days have... ahem.. long gone now. She definitely gets all signs of vanity from him though! This looks great. I actually would consider buying this! My little one is 5 months though...do you think he may be too young to use it? Probably a bit too young to get the full use out of it, but he'd still be attractedto the bright colours I bet. I'I'd say maybe aim for 7/8 months. Looks like an awesome toy. I can see she loves it to bits. Yep she certainly does love it. How cute is she!!! And so concentrated too, clearly looks like she is enjoying the toy. I've never seen that one before, looks like something my little boy would really enjoy too, so may have to see if I can chase one up! Yea its pretty cool, I'd never seen it before or anything like it. I love that is distracts her from tantrums! These toys are worth their weight in gold. Yep it works for now. Might not work if she progresses to epic middle of the shopping center tantrums as a toddler, but they're a long way off (fingers crossed) thankfully. I could never tell with Elliott, he'd like a toy at one point and then get sick of it or vice versa. His interest in the types of toys also changed as he got older too. This toy looks great. Its easy to tell with her. She'll either sit there blank faced or light up like a Christmas tree. I'm past the stage with my three kiddo's to invest in this toy, but I love the memories! Thanks for linking up this week with M2M!